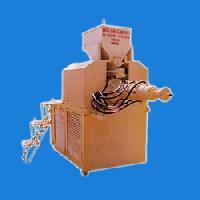 The heavy-duty Extruder Machines offered by us are built to suit the clients’ needs belonging to different industries. 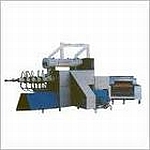 These machines are available in many different types and sizes to meet the production requirements for straining, extruding, tubing, slab production or contoured shapes. 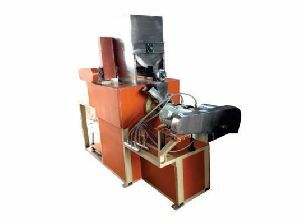 Our product, Soya Nugget Extruder is designed by a team of trained and skilled experts so that the final product can work efficiently. The machines base elements are of high and supreme quality standards, and they are blended in a perfect way to give rise to a premium quality product. 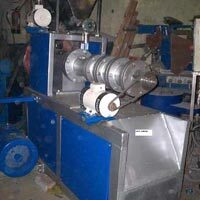 The extruder is easy to operate and maintain. Its other features would include its resistance towards rust and corrosion. 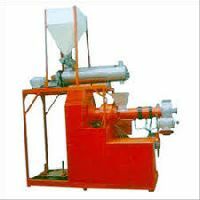 The multi-functionality of this machine is achieved owing to its several controllable variables such as feed rate, total moisture in barrel, screw speed, barrel temperature, screw profile, and die configuration. Clients can either ask for the available standard models or for custom models, we are capable to provide both range to our clients within the promised time frame at best price. 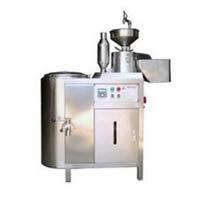 Salient Features: • Continues cooking food extruder • Specially design with main bearing nousing fitted with bearing • The main structure is made by mild steel tube frame with feeding screw • Screw and barrels and made of alloy steel die head bolts and nuts are of high tension • All standard fitting.